In the desert, you see, there is everything and nothing... It is God without men. Jaz and Lisa Matharu are plunged into a surreal public hell after their son, Raj, vanishes during a family vacation in the California desert. However, the Mojave is a place of strange power, and before Raj reappears inexplicably unharmed - but not unchanged - the fate of this young family will intersect with that of many others, echoing the stories of all those who have traveled before them. Driven by the energy and cunning of Coyote, the mythic, shape-shifting trickster, Gods Without Men is full of big ideas, but centered on flesh-and-blood characters who converge at an odd, remote town in the shadow of a rock formation called the Pinnacles. Viscerally gripping and intellectually engaging, it is, above all, a heartfelt exploration of the search for pattern and meaning in a chaotic universe. In the time when the animals were men, Coyote was living in a certain place. "Haikya! I have gotten so tired of living here-­aikya. I am going to go out into the desert and cook." With this, Coyote took an RV and drove into the desert to set up a lab. He took along ten loaves of Wonder bread and fifty packets of ramen noodles. He took whiskey and enough pot to keep him going. He searched for a long time and found a good place. "Here, I will set up-­aikya! There is so much room! There is no one to bother me here!" Gods Without Men brings us into the consciousness of nine fictional characters, among them a hedge fund executive; a UFO cult leader; a dissolute British rock star; a homesick Iraqi teenage girl; one historical character, the eighteenth-century Spanish missionary Fray Francisco Hermenegildo Tomás Garcés; and one deity, Coyote, the trickster in many Native American traditional stories. Why does Hari Kunzru embrace such a wide and diverse cast of characters? Do these characters from different historical eras and different echelons of society share any of the same aspirations? What draws them to the Pinnacle Rocks? Which character or characters do you most identify with? Why? What could a UFO hippie cult, a British rock star, a Spanish Franciscan priest, the son of a Sikh and his autistic son have in common? The Mojave Desert, for one thing. A search for meaning that connects the earthbound physical plane with the spiritual, for another. In his fourth novel, Hari Kunzru confronts head-on the quandaries of modern life while walking a fine line between irony and authentic emotion, between seriousness and lightheartedness, without missing a step. (Reviewed by Judy Krueger). Sometimes dizzying, sometimes puzzling, always enjoyable, Gods Without Men is one of the best novels of the year. The literary skills of Hari Kunzru are evident throughout this complex and disturbing novel. Compulsively readable, skillfully orchestrated, Kunzru's American odyssey brings a new note into his underlying preoccupation with human identity. Faced with the immanence of a big 'other' - alien, natural, druggy or godly - of what transformations, let alone lives, are humans capable? A countercultural mind-expanding quest... As a virtuoso performance, changing gears and styles every 20 pages or so, encompassing 18th-century friars and Hoxton hipsters, it will appeal to fans of David Mitchell's Cloud Atlas... Extraordinary. Kunzru's lively fourth novel tackles its big themes without ever becoming ponderous or heavy-going... Involving, thoughtful and thoroughly entertaining. Starred Review. Kunzru's ear for colloquial speech creates a cacophony that overlays his affectionate descriptions of the desolate landscape, creating a powerful effect akin to the distant cry of urgent voices crackling up and down the dial on a lonely drive through an American wasteland. Starred Review. Working a subject that might easily have invited a heavy hand, Kunzru instead delivers a lively and frequently thrilling version of the quest novel. Starred Review. At first somewhat slow as the various stories are laid out, this extraordinary novel by the estimable Kunzru (My Revolutions) gathers momentum, power, and a fierce clarity to deliver a rich panorama while detailing our mutual antagonisms and deepest spiritual needs (met, perhaps, with "a vast emptiness, an absence"). Highly recommended. Starred Review. Hopscotching across time, looking quizzically at space, Kunzru's marvelous novel uses diverse cultures (Native American, Catholic, Mormon, Wall Street, hippie UFO believers) to speculate on the nature of reality and religion, magic and mystery. 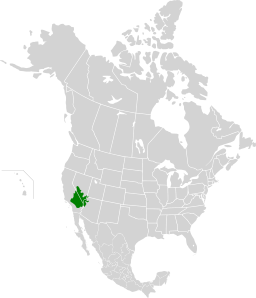 The Mojave Desert is located primarily in Southern California but extends into parts of Utah, Nevada and Arizona. It encompasses Death Valley, Joshua Tree National Park as well as communities such as Barstow and 29 Palms. Interstates 14 and 40 penetrate into and cross the desert. Nearly 12,000 years ago, once the Pleistocene glaciers receded, Paleo Indians occupied what we now call the Mojave Desert. According to the US National Park Service, "The Chemehuevi lived on prickly pear, mesquite and roasted agave blooms and hunted deer and bighorn sheep." As the region became more arid, various native tribes such as Shoshone, Southern Paiute and Mojave moved in.